After eating at L&L Barbeque in San Diego I was craving the food we had in Hawaii. 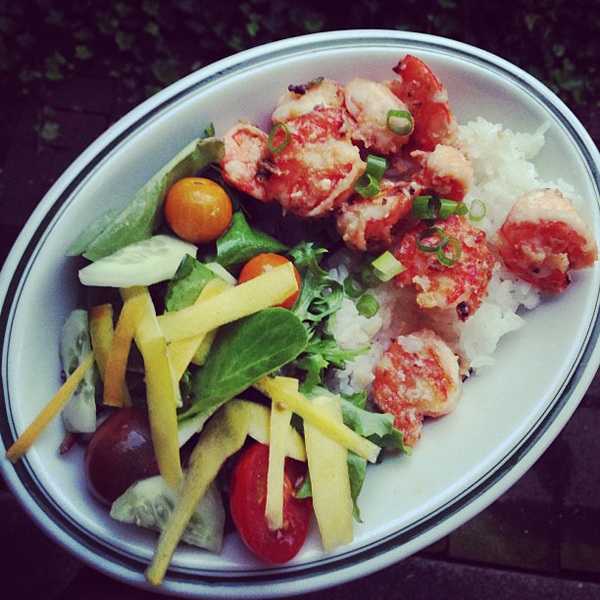 I looked up the recipe used by the garlic shrimp trucks in Hawaii, and made this garlic shrimp with rice and a side salad. I can't wait to make this again.